the Delta Music School Jazz Ensembles under the direction of Dr. Jared Burrows will be performing on Friday April 24th at 7:30pm at the Tsawwassen Arts Centre (56th St. at 12th Ave. Tsawwassen). The concert will feature all of the Delta School student ensembles plus Jazz workshop faculty Jared Burrows (guitar), Brad Muirhead (trombone) and Stephen Robb (clarinet, piano). 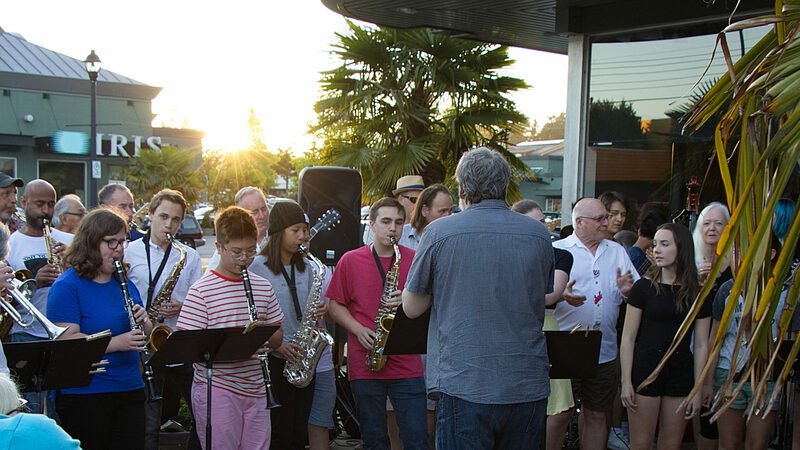 This concert is a fundraiser for the sixth annual South Delta Jazz Festival and Workshop, which will be held July 7 – 11 2009 in Ladner and Tsawwassen BC.